There are several common reasons that patients seek out a rhinoplasty procedure. The most common is the ‘bump’ or otherwise referred to as the ‘hump’ on the bridge of the nose. Most often only visible on the profile view of the nose. This is sometimes accompanied by increased width of the nose. The bump is most commonly found where the nasal bones meet the middle third of the nose referred to as the middle nasal vault/upper lateral cartilages. To conceptualize the bridge, it is thought of a triangle with the top of the triangle indicating the position of the dorsal bump. If the bridge is described as having excessive width this can been conceptualized as the bulging sides of the triangle. The dorsal bump can be removed surgically with a combination of osteotomes, rasps and scalpels. When the dorsal bump or top of the triangle is removed, what remains is a varying flat spot of the nasal bridge. If the triangle analogy is used once again, it can be thought of as a triangle missing its top or point. This flat spot needs to be corrected by mobilizing the sides of the triangle. Practically this is addressed by making cuts through the bone at or near the base of the triangle-referred to as osteotomies. This allows the bone to be moved in towards the midline of the nose and re-establish the triangular shape to the bridge of the nose. One of the most common complaints heard at a rhinoplasty consult is ‘I hate the round ball at the end of my nose’. In medical terms this is described as a bulbous tip. 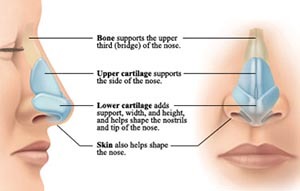 The two main causes of the bulbous nasal tip is tip cartilage shape/support and skin thickness. If the bulbous tip is caused by thick nasal skin then treatment options are a bit more limited. When patients and physicians see a patient with thick nasal skin, the most common reflex is to remove some of the underlying structure in order to alleviate the bulbosity. This maneuver often results in little to no improvement or can some cases worsen the rounding of the nasal tip. To properly address thickened skin, strong support of the skin is required to provide shape and definition of the nasal tip. The additional support of the nasal skin is most commonly achieved with a cartilage strut graft and alar rim grafts. Some additional refinement can be achieved by defatting the dermal surface of thick along with a steroid injection of the nasal both of which are performed at the end of the surgical procedure. Saddle nose deformity is an uncommon finding in the rhinoplasty patient. Simply described, it is a flattening of the nasal bridge also associated with nasal bridge widening. It is always caused by inadequate support of the nasal bridge. The causal nature of the inadequate support varies in each patient. The most common being a traumatic injury to the nose that results in destabilization of the nasal bridge. The increased width of the bridge results from the flattening of the bridge and converts the normal triangular shaped bridge to a trapezoid. Poor nasal bridge support results in decreased nasal breathing and a low sunken bridge that when viewed on profile has the appearance of a saddle. Cartilage is required to reconstruct the supportive structure of the nasal bridge and restore breathing and cosmesis to the nasal anatomy. Infrequently a patient has enough septal cartilage to rebuild the bridge, but more commonly either conchal or costal cartilage grafts are used (ear or rib) in lieu of the absent or deficient septal cartilage. The cartilage grafts are placed through an open rhinoplastly approach. The grafts are secured to the native boney structures and definition of the bridge can be achieved with onlay grafts. The root cause of the ptotic nasal tip is lack of support. Minor contributing factors are the shape and stiffness of the lower lateral tip cartilages. In order to correct the ptotic tip, the tip must be rotated and deprojected. Rotation of a nose refers to the angle that the tip of the nose makes with the upper lip (nasolabial angle). In droopy tip the angle must be changed from an acute angle to a right or slightly obtuse angle (90-105 degrees) see diagram below. Projection of the nose refers to the distance the tip of the nose projects from the vertical plane of the face. As the ptotic tip is improved surgically, the projection of the nasal tip increases and must be addressed otherwise the end result is a lifted tip is one that is too long and out of proportion with the facial aesthetics. There are many techniques to alleviate the ptotic tip. 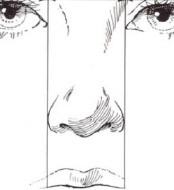 Most commonly the lateral crural overlay technique is use to rotate while simultaneously deprojecting the nasal tip. Additional support is achieved by using a cartilage strut graft between the medial crural cartilages. Several other techniques include lateral crural repositioning and caudal septal cartilage extension grafts. Alar base reduction (Weir Excision) is the name given to the procedure used to reduce nasal base width. I oft refer to this portion of a rhinoplasty as the ‘icing on the cake’. When indicated, this maneuver transforms a good rhinoplasty result into an outstanding one. The easiest way to asses the need for base reduction is dropping two vertical lines from the inner corners of the eyes (medial canthi). 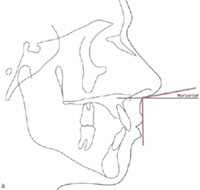 If the nostrils fall outside these lines then base reduction is indicated. The two causes of increased alar base width is thick skin and alar flare. Thick skin is self explanatory but flared nostrils are caused by the overall curling shape of the base of the nose. The ideal way to address the base is by direct excision of the nostril width. 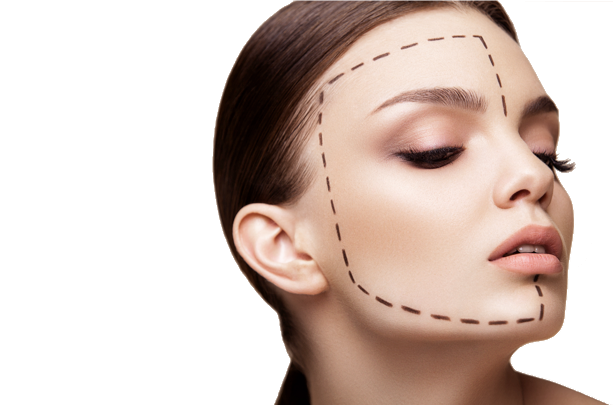 The external incision is hidden in the crease between the alar lobule and face and closed meticulously. This also allows reduction of the excessively large nostril openings as well changing the unappealing round opening to the ideal pear-shaped opening. Crooked nose has a long list of causes which fall under two headings congenital and acquired. Congenital causes are many but primarily lead to asymmetry of the face and thus the nose. The majority of acquired causes are either trauma or previous surgery. The direction of the septum dictates the direction of the external nose. This fact leads to the various techniques used to straighten a nose. When the nasal bones are not straight, osteotomies (precise cuts of the nasal bones) are used to straighten and reset the nose. Bowing of the nasal septum will cause trouble breathing as wall as cosmetic concerns. A septoplasty is performed. 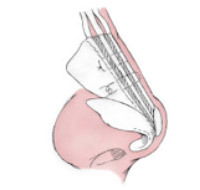 Using the cartilage harvested from the septum, spreader grafts are placed from an external approach. Often with a crooked nose the grafts are placed assymetrically to help with straightening of the nose. If the caudal septum is crooked and results in deviation of the nasal tip, the deviated portion is removed and then a straight section of cartilage is grafted on as caudal extension graft. If the amount of bowing of the septum and bridge is so severe, then an extracorporeal septoplasty is often required. This procedure requires en bloc removal of the septum. The septum is then straightened by resecting straight portions of the septum and suturing them to a dissolvable scaffold known as PDS plate.